Chinese manufacturing enterprises need to promote industrial transformation and upgrading based on their own conditions, said Zheng Yuewen, vice chairman of the All-China Federation of Industry and Commerce in his keynote speech at the 2018 Made in China Forum, a one-and-a-half-day event which concluded in Foshan, Guangdong Province on Jan. 14. Zheng stressed the importance of manufacturing, saying that the sector is a foundation for the country's economic development, technological progress and employment. China has developed rapidly into a manufacturing giant owing to its advantages of low-cost production and its abundant labor force. However, with rising production costs and growing demand for environmental protection, China's manufacturing sector is facing enormous pressures to transform and upgrade. According to the Chinese entrepreneur, China's manufacturing enterprises can be classified into three categories: Large-scale enterprises, innovative enterprises as well as small and medium-sized enterprises (SMEs) – with each required to pursue a tailored path to achieve industrial transformation and upgrading. Specifically, large-scale enterprises, especially state-owned enterprises, should focus on integrating resources, reducing labor costs and improving social productivity; innovative enterprises should leverage the capital market to raise the funds they urgently need for development; and SMEs should promote workmanship to foster brands that can gain international recognition. 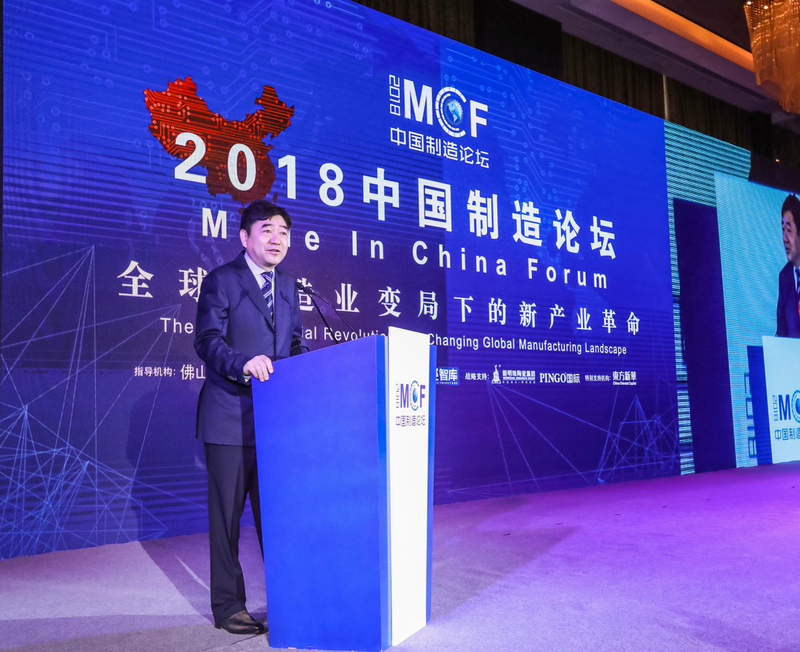 Themed as the "New Industrial Revolution in a Changing Global Manufacturing Landscape", the 2018 Made in China Forum gathered political, business and academic leaders from China and abroad to discuss global manufacturing trends, China's new role in the global industrial chain and other key issues. Chinese manufacturing enterprises need to promote industrial transformation and upgrading based on their own conditions, said Zheng Yuewen, vice chairman of the All-China Federation of Industry and Commerce in Foshan, Guangdong Province on Jan. 14.